There are 10 reviews of Wonderoud. This scent has a sense of déjà vu. 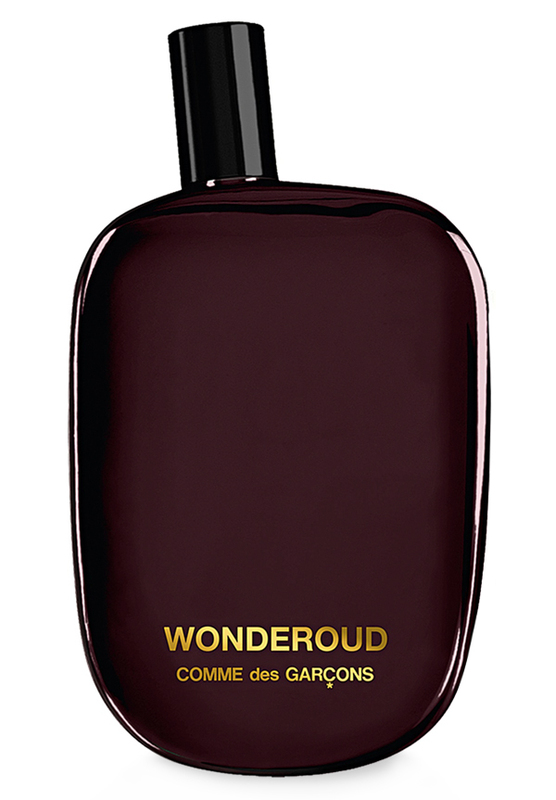 Having tried WonderOUD multiple times, it is hard to think of this scent as anything other than WonderWOOD by the same house of Comme des Garcons. I bought and used WonderWOOD a while ago. I found the soft cedar woods and synthetic sandalwood undertones (read javanol), mixed with a really authentic black pepper note to be quite smooth and relaxing, especially throughout the coolder months. Alas, the love did not last long and I discovered WonderOUD by accident. The similarities are quite astonishing. The black pepper is a little more pronounced and the cedar and other woody notes (vetiver, patchouli and plenty of javanol or synthetic sandalwood) are all there. Others tell me (and yes that includes strangers in shops!) that they get an 'oudy' note coming off this one from 2-3 feet away, but I get no such vibe. Instead, the bone dry woods are much more pronounced in this scent compared to the aforementioned WonderWOOD. Whatever the 'oud' note used in this one, it is subtle, blended in very well and unlike any other oud scents available today. There are no sugary sweet or rose accords whatsoever. I put a tester card in my top pocket and I can get relatively strong whiffs of this one two days later. So the longevity is there, but it is either my skin type or olfactory fatigue not allowing to detect this scent in its full glory. That said, I think this scent would be superb for layering with other scents, oils or notes. I have had some good results experimenting with this and intend to get a bottle soon. Remarkable scent from Comme des Garçons! I have Wonderwood from CdG and was curious how Wonderoud would fare in comparison. Both are rich, spicy, woody fragrances of the highest breed. Wonderwood is multi-faceted woodiness, whereas Wonderoud smells like a big pile of cindering Agarwood and nothing else. Wonderoud is classy and long-lasting edp fun. I can actually imagine being in an enclosed room with the smoke of oud wood piercing my nose in a pleasant, convincing way. It stays linear and predictable, giving me constant rewards of rich woody whiffs the whole time. Works in cool and warmer weather (the former maybe more so), and is an attention-getter worth it price. Dry, woody, a little dirty spice and completely masculine. Similar to Wonderwood but appropriately takes a spicy-oud route that makes me think this is one of the most pleasant and wearable oud scents I’ve tried. Performance is excellent. Projects a nice 2-3 ft scent bubble and lasts all day and into the night. I like it -- it is dry, woody, very light verging on translucent. A bit green and fresh. But, it is aptly called "Wonderoud" because I wonder WHERE the oud is? It must be somewhere, but I don't think it is in the scent. Maybe a very low-key incense note. But then it should be called "Wonderscense" and it would be an accurate name. This is one of my all time favorites. I used to own CdG Wonderwood, because I thought Wonder"oud" would be too heavy, old fashioned, too mature...I didn't even try Wonderoud at first because Wonderwood was just so good it blew my mind and "Oud" was not my thing. I thought it was something similar to Tom Ford Oud Wood or other heavy-oud scents. Then one day I tried Wonderoud...My god! Even better than Wonderwood! I don't get that heavy oud smell from Wonderoud, instead I get a mild longer lasting version of Wonderwood. So don't get fooled by the name! Wonderoud is a perfect blend of sandalwood, cedarwood, pepper and a mild-creamy vibe coming from the oud. This is the perfect men's scent for me. The longevity is better than Wonderwood, I get a minimum 7-8 hours on skin, and days when sprayed on clothes. Sillage is average. It is not too dry like Wonderwood, a perfect balance of mild oud with spices, fresh yet sophisticated. I'm dying to find something similar as it is not easy to find and afford. For me CdG Wonderoud is a treasure. A new woody intensity for a unique unforgettable trail.This perfume is special it's not the strong oud you think it may be.the scent is a slight sweetness but not overdone with quite dominant woody aspect. it's almost like sandalwood that makes it perfect for someone who craves into masculine oriental scent. Dry,Linear,Fresh,Woody,Classy,Elegant and Gorgeous. The fragrance evolves into a veil of seductive beauty that has a magical effect.it's like taking a walk in the forest after a rain.dry down is very close to the skin.unisex but Like most woody fragrances it may lean towards the masculine side.if you like dominant oud blends this one is not but highly recommended for strange wood smell lovers. There are no member images of Wonderoud yet. Why not be the first?